Do you have a client who everyone else has given up on? They've seen multiple therapists, without the relief they want and deserve. Maybe you feel stuck with this client — and at this point, even the client believes they are not capable of getting better. You can offer them hope...with powerful and practical interventions that are proven to WORK. Evidence points to Cognitive Behavioral Therapy (CBT) as one of the most effective treatment for many chronic, recurring, and challenging mental health conditions including depression, anxiety, addiction, personality disorders, OCD, PTSD, trauma and more. In this intensive CBT certificate course, you'll master a fresh set of clinical tools and skills that will transform your practice. This is NOT a "one-strategy-fits-all" approach. Rather, this online CBT course offers you a complete collection of practical ways to integrate empirically supported techniques into your very next session. Today Only $199.95 (GST Inclusive) — An Unbelievable Value! 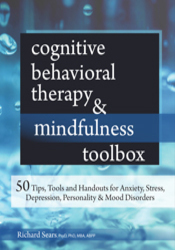 Cognitive Behavioral Therapy & Mindfulness Toolbox. Plus, earn up to 19 CPD Hours — included in the course tuition! PsychOz Publications, in collaboration with PESI in the USA, offers quality online continuing professional development events from the leaders in the field at a standard recognised by professional associations including psychology, social work, occupational therapy, alcohol and drug professionals, counselling and psychotherapy. On completion of the training, a Professional Development Certificate is issued after the individual has answered and submitted a quiz and course evaluation. In this intensive certificate course, you'll master the skills and competencies of CBT, preparing you to apply CBT with a wide variety of clinical populations. Get started with the fundamental core concepts of CBT. You’ll join John as he examines and reveals the power of Aaron Beck’s original CBT model. He’ll then walk you through effective strategies for socializing your clients to the cognitive model and three levels of cognition. John also shares insight on effective CBT clinical application, including session structure and phases of treatment, before looking at some current adaptations of the cognitive model including DBT, ACT, and Schema Therapy. Dive deep into cognitive conceptualization, the cornerstone of CBT that drives treatment planning, and gain a truly integrative understanding through a series of case studies and role plays. During module 3, you’ll move into the application of CBT to specific problems and symptom sets you see in the clinical setting, and this module will focus on bipolar and depressive related disorders as well as sleep issues. Further building upon the application of CBT for specific clinical conditions, this section moves into anger management, multiple anxiety disorders including panic and phobias, and OCD. Case studies will demonstrate and reinforce the application of CBT for these conditions. Module 5 moves into the application of CBT for treatment of PTSD, substance abuse, and non-borderline cluster B personality. You’ll learn about making a personality disorder diagnosis, and examine the unique characteristics and corresponding assessment strategies. Additional information on DBT and schema focused therapy will be covered. Continue with treatment ideas for additional cluster B personality disorders including narcissistic and borderline personality disorders. The course will conclude with additional case studies and advanced CBT strategies. Register now and you'll get a FREE - PDF Version of the Best-Selling Book: Cognitive Behavioral Therapy & Mindfulness Toolbox. This practical, engaging skills manual clearly defines the principles of CBT and then demonstrates steps for integrating mindfulness practices into therapy — all drawing from the latest research. Straight-forward explanations and dozens of worksheets provide fresh insights and new tools to move therapy forward when treating stress, anxiety, panic, depression, pain, trauma, addictions, and other issues. Now Only $199.95 (GST Inclusive) — An Unbelievable Value! 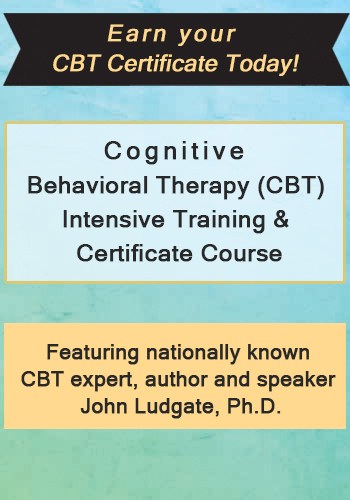 Dr. Ludgate will guide you step-by-step through 6 modules of in-depth CBT training. You'll have unlimited online access, and you can download the materials for future reference! Plus, use the CE21 Mobile™ app to access the course content on-the-go, wherever and whenever you want on your mobile devices. Click here for course objectives and outline. Interact and collaborate with hundreds of other professionals in the online community through chat boards and online forums. Participants love sharing ideas, asking questions and networking with other practitioners! Complete your online CE test and earn up to 19 CPD hours! 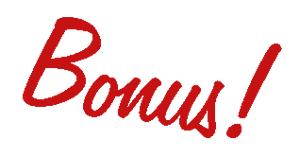 Click here for total course CE Credit. You'll end the intensive CBT training with a certificate of professional recognition. John Ludgate, Ph.D., is a licensed clinical psychologist who has worked as a psychotherapist for almost 30 years. He is a Founding Fellow of the Academy of Cognitive Therapy. His practice, which involves work in both a private practice and in an outpatient psychiatric center, consists largely of treating clients referred with mood problems and/or anxiety conditions. He is currently working at the Cognitive-Behavioral Therapy Center of Western North Carolina in Asheville, North Carolina. John is a native of southern Ireland and obtained a Master Degree in Clinical Psychology from the University of Edinburgh in Scotland, and a Ph.D. from Trinity College, Dublin, Ireland in 1990. He trained at the Center for Cognitive Therapy in Philadelphia under Dr. Aaron Beck, the founder of Cognitive Therapy, obtaining a Post-Doctoral Fellowship in Cognitive Therapy from the University of Pennsylvania in 1986. He subsequently became Assistant Director of Training at Dr. Beck's Center. Speaker Disclosures: Financial: John Ludgate has an employment relationship with Cognitive Behavioral Therapy Center of WNC. He receives a speaking honorarium from PESI, Inc. Non-financial: John Ludgate has no relevant non-financial relationship to disclose. Register for this comprehensive training course without risk. If you're not completely satisfied, give us a call at 800-844-8260. We're that confident that you'll find this learning experience to be all that's promised and more than you expected. Save Over $500 AUD When You Sign Up Today! Take the CBT journey and transform your therapeutic outcomes! NOTE: No additional discounts or coupons may be applied to this course.